Looking for a perfect time to visit Walt Disney World? Let us recommend the spring season! You may think of spring as a chance to get organized with “spring cleaning” or time to prepare the lawn for the summer ahead… but our minds think spring equals Disney. That late March to mid-June spring season awaits, but before you “spring” to meet the Mouse, check out these nine things to know before you visit Disney World in the spring. While there really isn’t a “slow” time at Disney World, spring does typically hold lower crowd levels than other times of the year. The kids are in school and adults are in their work routine which means the parks clear out slightly. With that being said – spring also means Spring Break which for most schools falls the week before or the week after Easter. Try to avoid this time frame if at all possible! Check out other holidays below that may also contribute to crowd levels. Disney knows how to fill the parks even during the lower crowd times – they offer discounts! 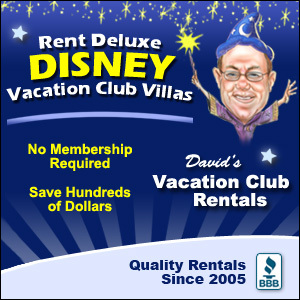 Spring is a great time to stay at the different Disney Resorts with value rates or special discounts offered. We often see 30% off select rooms. Ticket prices are on the lower side as well with best price deals being during the weekdays and non-holidays. Any savings can help! 7 – Tax Return Anyone? Since we’re talking about saving money – does anyone else have a hard time not spending their tax return as soon as it hits the bank in the spring? It burns a hole in our pockets! So, what better way to spend your money than on a memorable experience for the family? Have some spring fun with that nice tax return! You know the saying, “Spring showers bring May flowers”. This is true even at Walt Disney World… although there are always flowers! You can expect rain regularly so pack those ponchos and a couple pairs of shoes. No worries however because there is still plenty to do at Disney in the rain. If you channel your inner Donald Duck, you can waddle along in the rain and enjoy yourself despite being damp. Speaking of rain… did you know that Hurricane Season begins the first of June? Many people assume we only have to worry about hurricanes in the fall, but we’re sorry to report all of the spring isn’t completely clear of hurricane possibilities. Be sure to review Disney’s Hurricane Policy if you are planning to visit the later end of the spring season. Fingers crossed it’s not something you’ll have to worry about! So, with all this weather chat, how do you pack? We’ve covered you’ll want to pack ponchos and extra shoes, but we’d also recommend a light jacket and a pair or two of pants. On the flip side, you should bring your swimsuit and flipflops to enjoy the warm Florida spring weather. We’ve seen temperatures range from the 60s to the 90s during the spring. Expect 60s in early spring but just understand that the next day could be in the 80s. As spring inches closer to summer, start to plan for the warmer 80s and 90s. So, in other words – you’ll need to pack a little bit of everything. If you haven’t experienced a runDisney event, you’re missing out! Over the spring runDisney has at least one runDisney event. The Star Wars Rival Run Weekend is in April and is a perfect time to check out Disney and get a nice run in! Use the force to conquer the 5K, 10K, and/or the Half-Marathon. You can also sign up for the Challenge Run (both 10K and Half-Marathon) for a Challenger Medal. There are also Kids Races to get the entire family involved! When you think Holidays at Disney World your mind probably goes to Christmas or New Year. Spring has a handful of Holiday celebrations not to be missed! The biggest holiday celebration over the spring is Easter (April). The Easter date can jump around from early, to mid, to late April so be sure to check the calendar well in advance. At Magic Kingdom, there is a special Easter Parade with the Easter Bunny! You can even see beautifully crafted eggs on display at Disney’s Contemporary Resort. There are also special church services held at the Contemporary. And if you’re hungry, check out one of the special Easter Brunch locations. Earth Day (April 22) is an especially fun day to be at Animal Kingdom as this is the day the park opened in 1998. Disney has special Earth Day events in the park, special character appearances, tasty Earth Day treats, and specialty merchandise. An excellent place to celebrate Cinco de Mayo (May 5) is the Mexico Pavilion at Epcot. Taste all the delicious Mexican flavors and have a refreshing margarita or two. Bring Mom to Disney with you over Mother’s Day (May 12)! You can celebrate by taking her to her favorite park, favorite restaurant (maybe a Mother’s Day Brunch), and even shop till you drop at Disney Springs. This might just be a perfect time for girls’ trip to Disney World. When there is a National holiday that closes just about everything – you can count on Disney World being open. A very busy time to visit over spring is Memorial Day (last Monday in May). Expect large crowds if you plan to visit this weekend. An especially memorable event on Memorial Day is the Flag Retreat at Magic Kingdom. The last holiday in spring is Father’s Day (June 16) as summer is just around the corner. This is a great time to celebrate the Father and/or man in your life that deserves to let loose and be a kid again at Walt Disney World. No surprise here! No spring trip to Disney World is complete without a visit to the Epcot International Flower and Garden Festival. While many prefer the fall International Food and Wine Festival, we much rather vacation during the Flower and Garden Festival. There are fewer crowds, the temperatures are just right, and Epcot is at its finest. See Epcot littered with colorful flowers and character inspired topiaries. The Flower and Garden Festival is included in your Epcot admission, but you can expect to pay extra if you’re planning to sample the many delicious “spring” inspired food and beverage options. Don’t forget to enjoy the entertainment as well as the special event merchandise. There you have it! Put down that spring cleaning and get ready for what awaits at Walt Disney World.